Can I just say- what a bloody fantastic experience you provide! Having you on-board last Thursday with the AIME crew was a delight. We’ve had nothing but positive feedback for your workshop, with 100% of staff nominating it as the highlight of their 2 days in Sydney. “You were all wonderful. A squillion thanks. A highlight of the festival. The youth engagement/involvement was stunning! My 9 year old son replayed practically word for word the entire performance yesterday!! We have still got the giggles up!!! “I would like to take the opportunity to submit some feedback in relation to our Impro session. The way the session was conducted was truly amazing. Every person within our team was involved throughout the session. My observations were that this assisted the team to bond on a different level. Personally, at first I was out of my comfort zone as it was a new experience for me, however getting in there and giving it a go I was able to become more relaxed and had a great time. I think that this was one key take out for me – don’t be afraid of change or what the future may hold, get in and give it a go and you will be amazed at the results created from minimal resources. During most of the activities within the session, we were in pairs or groups. My take on this was, that it is necessary to use others in the team to assist and offer support so that we can deal with change together and get bigger and better results. Also team work plays an important part in change. All the activities that were presented in a well structured and balanced way – ensuring everyone was aware of what needed to be achieved. After speaking with other members of the team, they had nothing but positive feedback to say in relation to the session. They thoroughly enjoyed themselves as did I. If I had the opportunity again I would do so. I would also highly recommend it to other parts of the business so they are able to experience it and get some key taking that will help them adapt to the change that the business is going through. I would like to thank Impro Australia for assisting and showing myself and our team ways to adapt to change, it was highly beneficial. Thank you. 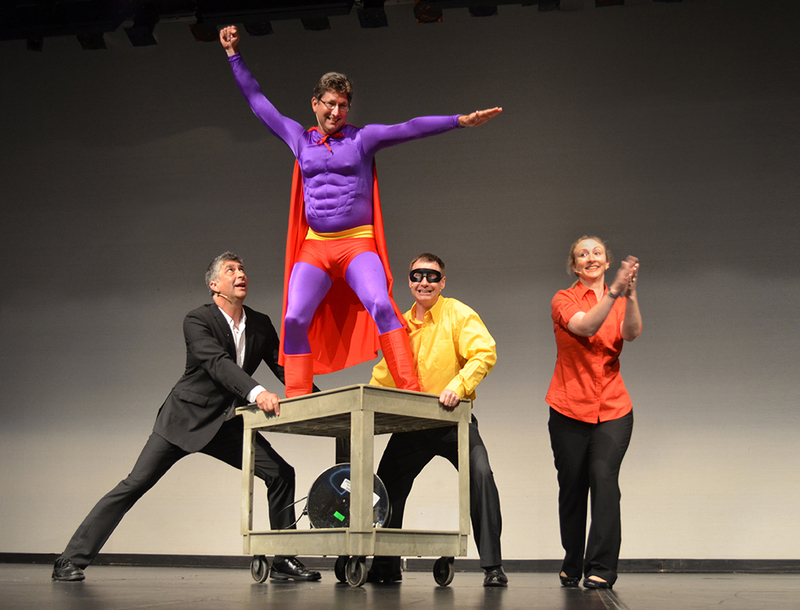 Impro Australia welcome new players, comedians, musicians and production crew. Contact us if you are interested in joining our troupe.